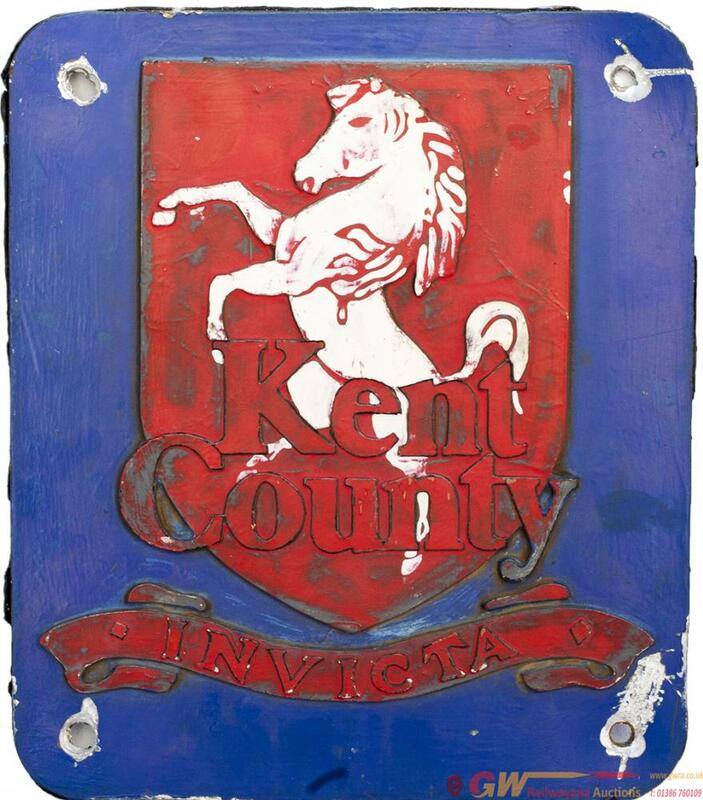 Nameplate badge from KENT YOUTH MUSIC depicting Kent County coat of arms ex BR class 73 73136. Built by English Electric Vulcan Foundry as works number 3715/E375 in September 1966, named in May 1992 and name removed in May 2004. Locomotive now part of GBRf pool. Cast aluminium in ex loco condition measures 11.75in x 13.75in. Sold on behalf of DB Cargo (UK) Ltd and comes complete with a certificate of authenticity.